Industry software manufacturer eNex has launched a redesign of its website for three reasons: to connect its online presence with its brand identity; to reinforce its motto of “Powerful, simple” and to make the online experience more efficient and convenient for the end-user pest management professionals (PMPs). In addition, this week at the National Pest Management Association’s PestWorld conference in Nashville, PestMate is hosting a Punchcard Hunt! in which conference attendees can enter to win a random drawing after stopping by six participating booths. Prizes ranging from a MacBook Air to a Beats Headphones are available. Certain restrictions may apply. 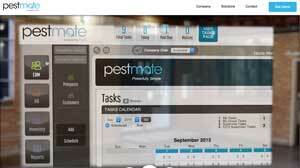 Learn more at the PestMate booth, No. 475.